As we had a busy day of exploration planned, we were up and at it reasonably early. But not at an uncivilized time. Julie had, once again, offered to be our local tour guide and had made some excellent suggestions for the day. Laura and Josh joined us for the morning, which was nice as I’m sure they had their own busy lives to deal with as well. Heidi also joined us, as she did all weekend - we all got to be tourists. Our first stop of the day was at the Welsh Mining Experience at Heritage Park in Trehafod, Rhondda. 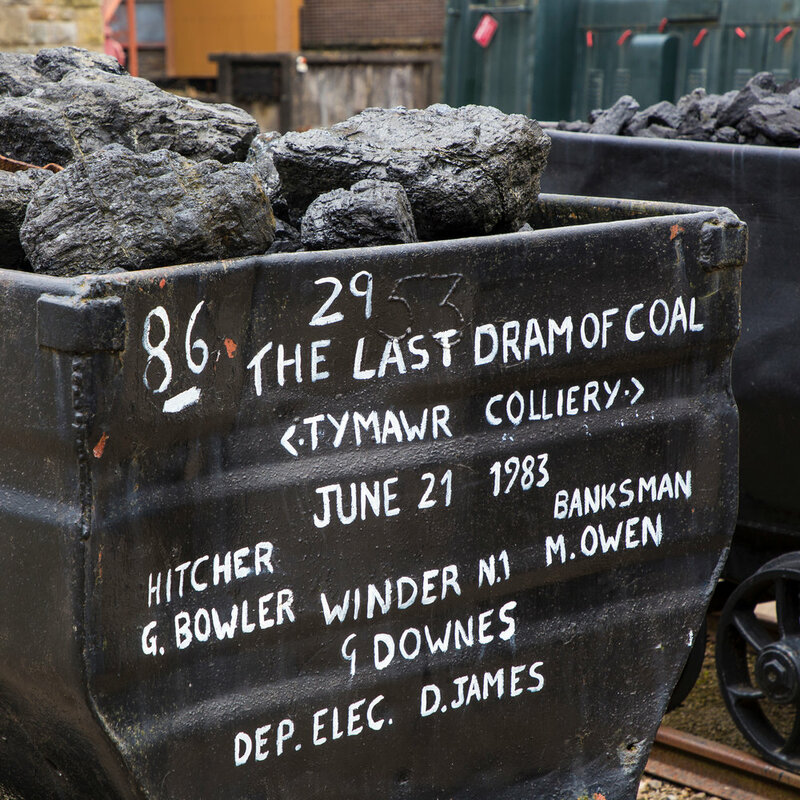 It is a tourist attraction which offers an insight into the life of the coal mining community that existed in the area until the 1980s. We got to experience the life of the coal miners on a guided tour through one of the mine shafts of the Lewis Merthyr colliery. Our tour was led by, Graham, a former colliery worker at that mine. What was even more interesting was that we seemed to know Julie’s father from back in the day. The original smoke stack and other buildings at the colliery. 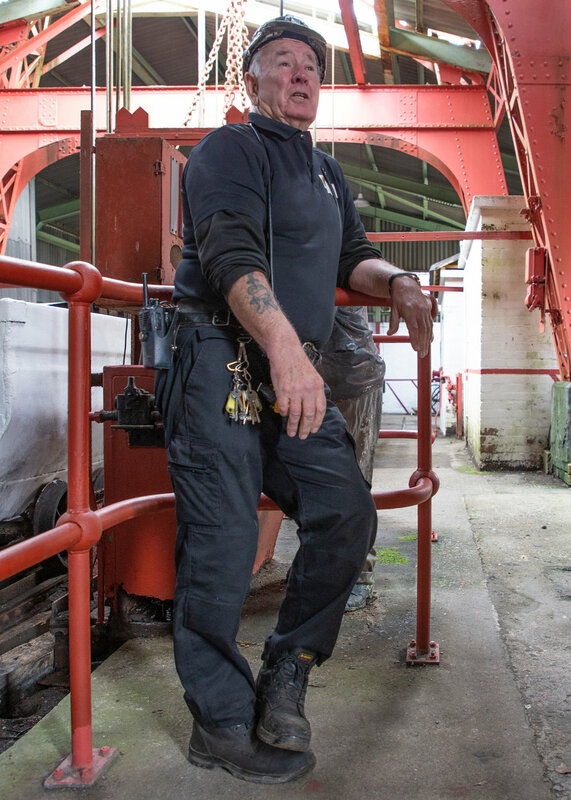 The history of the colliery is fascinating, and you can read all about it online. While the history goes back well over 100 years, mass production came to an end on the 14 March 1983 with a small amount of production continuing until July when coaling ceased forever at Lewis Merthyr. It was just our little group in the tour (always nice). 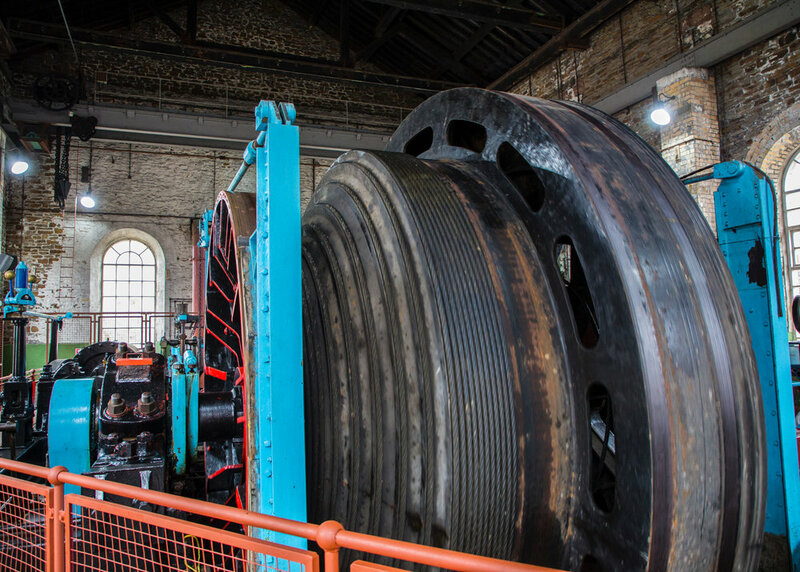 It’s pretty interesting set-up, and they’ve managed to maintain what seems to be a lot of the original equipment from when the mines shut down. The tour started with a video presentation that set the stage, told a bit about the history and was generally pretty entertaining. At the “surface” the main attraction was the huge mechanisms that ran the elevators. The wheels are huge, and the speed at which they dropped the miners into the mine was a bit mind-blowing. It was very interesting to hear all the details of what they went through. One of the huge spools of steel cable for the elevators. 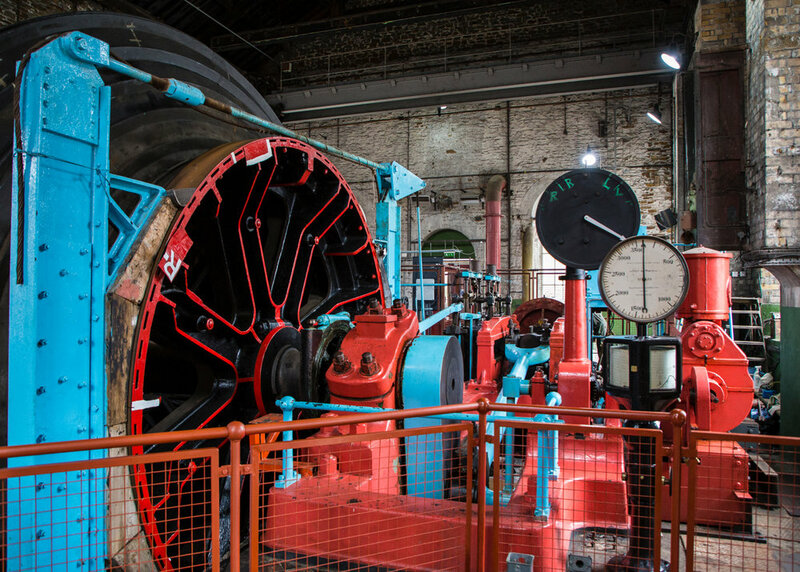 The steam-powered wheel for running the elevators. After showing us all the mechanical components and talking about the history and sociopolitical aspects of the time (all very interesting, and nothing that I knew anything about), it was time to head “down” into the mine. They put us into what looked like a modern elevator, and then faked a ride dow. It was pretty convincing actually. After getting out of the elevator, we were in a re-creation of a mine. Graham talked us through what it would have been like, and some of the crazy stuff like there being horses in the mines, and small children employed to open and close doors, stuck down in the dark for hours and hours at a time. It was a different time. Our excellent tour guide Graham. More views inside the park. 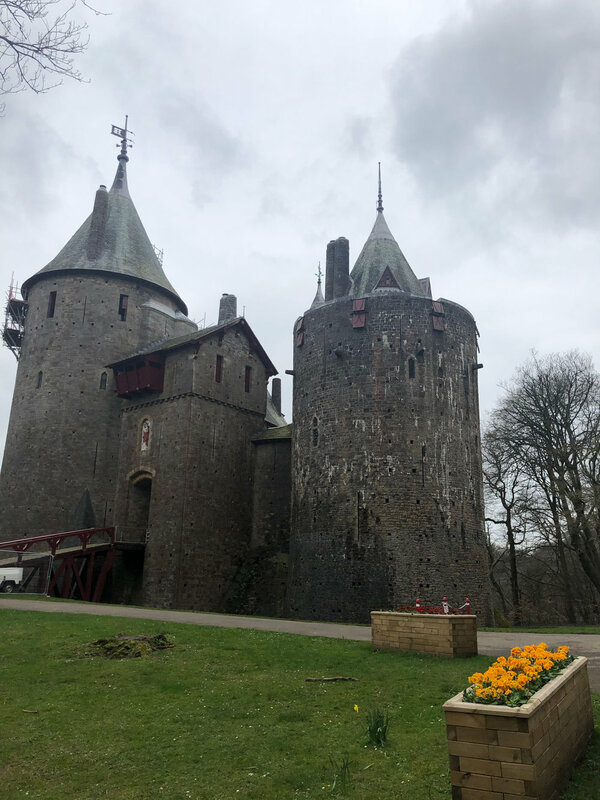 Our second stop of the day was Castell Coch, or the Red Castle. 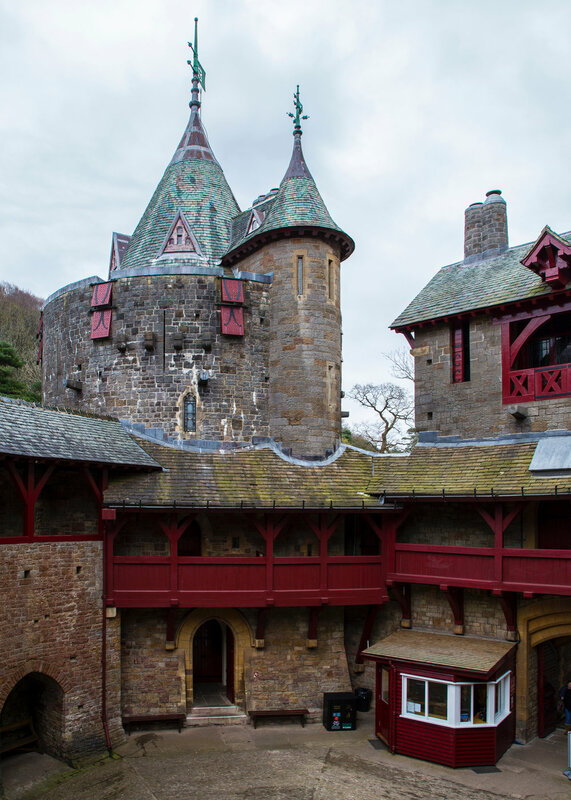 While resting on ancient foundations, Castell Coch is relatively modern, the by-product of a vivid Victorian imagination, assisted by untold wealth. Despite not being sas old as it looks, it was still pretty cool to see. Once again we were quite lucky in that the place was pretty much deserted and we had it to ourselves to check out. The main courtyard didn’t have much to see, so we started up and into the towers of the keep. The inside was definitely more interesting, with lavish rooms and interesting decor. The lavish, formal octagonal Drawing Room occupies the first and second floors of the Keep. The ceiling is supported by vaulted stone ribs. After exploring the interiors (and walking and down up a lot of very narrow spiral stone staircases), we ended up back in the main courtyard. We wandered for a bit, then checked out the cute little bookstore that had a pretty good collection. I really enjoyed the castle, checking out all of the interesting architecture, and great views out into the forest. It would be really pretty there in the fall. On the way back to the house we stopped in to finally meet Justine’s Aunty Morfy. She is quite the amazing lady - still living on her own at 93, in the house that she’s lived in for over 60 years. Of course, she’s getting lots of support from her family, but still - she seemed full of energy and was obviously very pleased to have so many visitors to keep her company. It was very nice to finally meet her. We ended up staying for an hour or so. Afterwards, we walked the street out front of Aunty Morfy’s house, and had a look at some of the old row houses. Many of Justine’s family used to live on this street, in a couple of the different houses. Matthew lives in one now, but he was at work so we couldn’t stop in to see inside one. A closer look at some of the row houses on William Street. Very cool, and much bigger than they look from the outside. Looking down onto the old town. 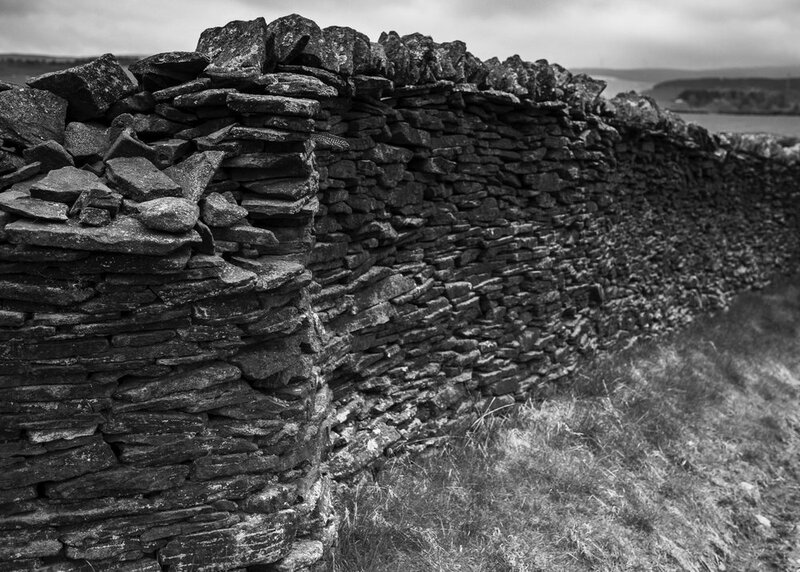 I’m not sure if I quite have this right, but I think the name of it is Ynyshir. 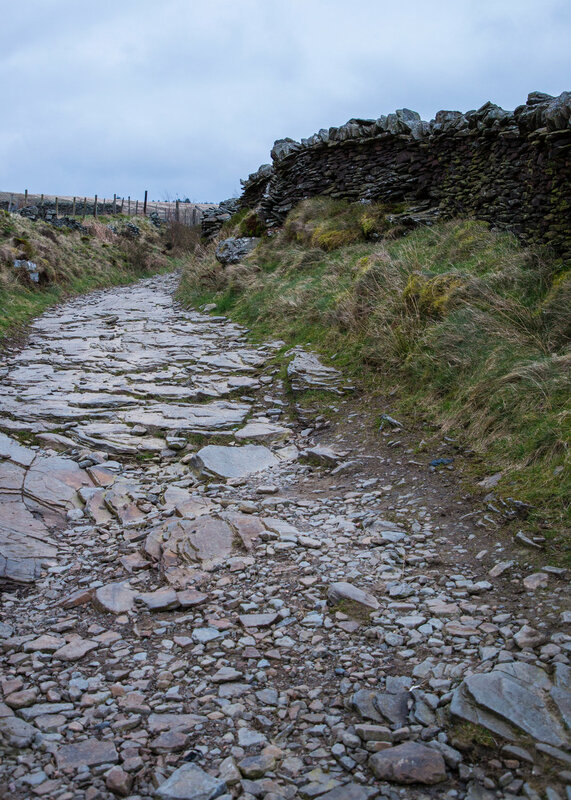 After our visit, Julie took us up the hills and we went for a short walk in the sheep fields. And we finally found Justine a lamb! Not a great picture, but the light was fading fast. 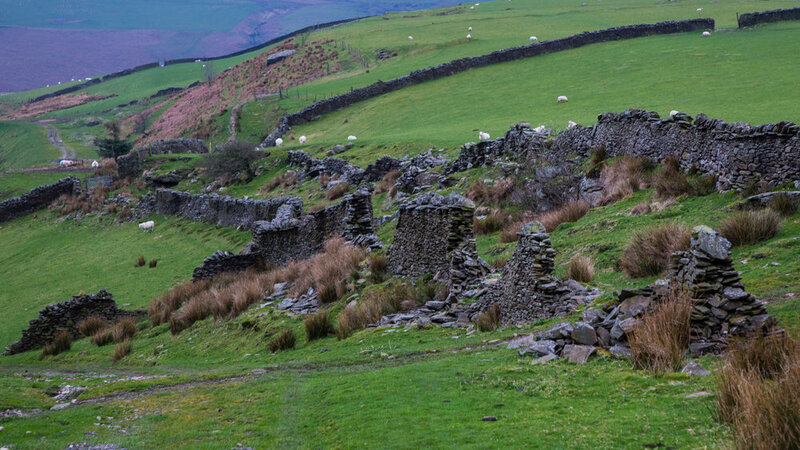 The area up on the hills where some of the sheep farms are still located is very beautiful and rugged. As the Land Rover wasn’t up to the task of navigating the rough path, we took a short walk and enjoyed the last light of the day. The area really is quite beautiful.